with Allan H Church, Ph.D. The abilities to identify, develop, and move high-potential talent throughout the leadership pipeline are critical success factors for today’s organizations. More than ever, the VUCA environment and war for talent require that organizations focus on both current and future capabilities needed to drive the business forward. But what are the characteristics and capabilities needed? What leading indicators of leadership potential should we look for in early career, mid- and senior level leaders? While definitions of potential vary by organization, new thinking on the meaning of potential is driving the field of talent management forward to more integrated and holistic sets of solutions. PepsiCo has been leading the way in this area over the past several years by implementing a state-of-the art, multi-level integrated assessment and development architecture called LeAD. Recent independent and award winning benchmark research conducted by Allan and his colleagues with over 100 different top development companies has shown that organizations are turning to more sophisticated and integrated assessment and development programs to pinpoint the right people, with the right tools, for the right future roles. PepsiCo’s approach with an emphasis on the design philosophy, tools and processes that have been put in place, and the key learnings and insights obtained at each level of the program. How new thinking in the form of the Leadership Potential BluePrint can diagnose and shape an organization’s end-to end leadership development and high-potential agenda. Providing perspective on how to integrate leading-edge talent assessment and development approaches into an organization. Dr. Allan H. Church is the Senior Vice President of Global Talent Assessment and Development at PepsiCo. He is responsible for setting the enterprise talent strategy for high-potential identification and development, and strengthening the leadership pipeline via the People Planning talent review process. Allan and his team also personally deliver high-touch internal assessment and development efforts to top executive talent. Previously, he held a number of VP positions in the talent management area at PepsiCo; and during the past 15 years, he designed and delivered many of the company’s world class processes and tools. He also spent nine years as an external OD consultant working for W. Warner Burke Associates, and several years at IBM in the Communications Measurement and Corporate Personnel Research departments. Allan has served as Chair of the Mayflower Group and on the Society for Industrial-Organizational Psychology (SIOP) Executive Board. Currently, he serves on the Executive Committee of the Conference Board’s Council of Talent Management, and on the Board of Directors for the Human Resource People & Strategy (HRPS) the Executive Network of SHRM. He is also an Adjunct Assistant Professor at Teachers College, Columbia University, and an Associate Editor of the Journal of Applied Behavioral Science. 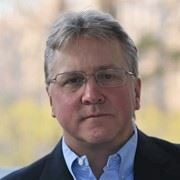 Additionally, Allan is serves on the editorial boards of SIOP: Practice and Research, Consulting Psychology Journal, the Journal of Social Psychology, the Journal of Business and Psychology, and the OD Practitioner. An active writer, he has authored several books, over 30 book chapters, and over 150 practitioner and scholarly articles. Allan received his Ph.D. in Organizational Psychology from Columbia University. He is a Fellow of the Society for Industrial-Organizational Psychology, the American Psychological Association, and the Association for Psychological Science. With Gratitude to Our Sponsor! With a consulting team of eight former managers of Learning/HR, GPS provides over 50 services and is proud to have over 200 repeat clients. How can we help your success in 2016? The Norwalk Inn will provide special diet accommodations upon advance request. Contact the chapter administrator.